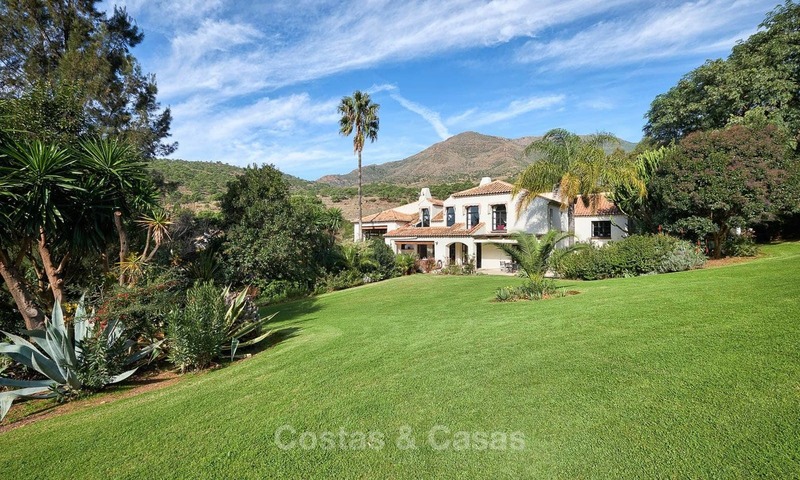 This very charming villa enjoys a simply spectacular setting on a big and high plot in El Madroñal. 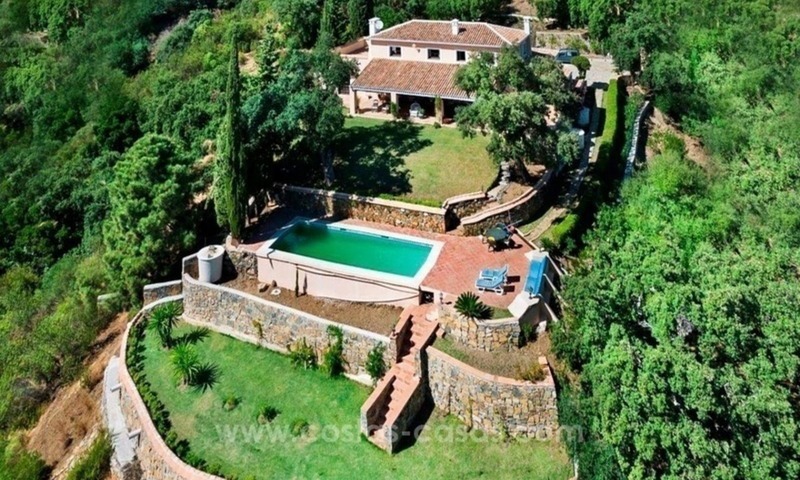 Impressive sea views, privacy and excellent orientation make the location of the villa one of the best in El Madroñal. 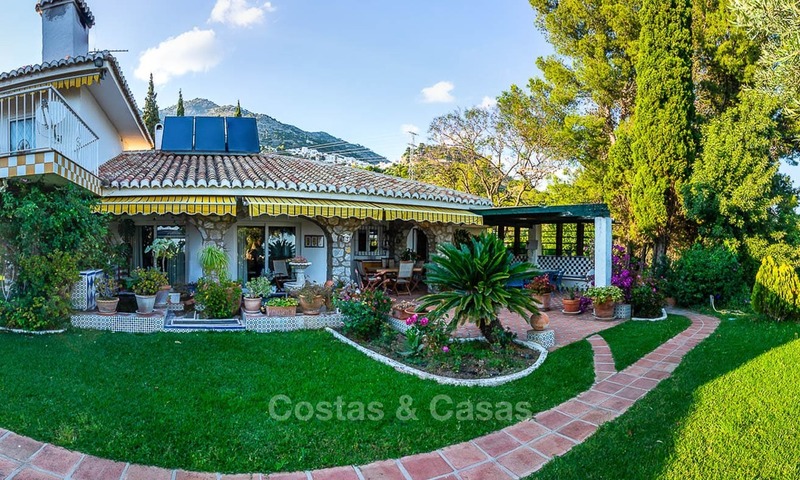 Classical rustic Andalusian 4 bedroom villa, yet for those who seek a more modern living environment it easily lends itself to either a subtle revamp or a complete rebuild resulting in a contemporary showpiece in one of the best locations of Marbella. 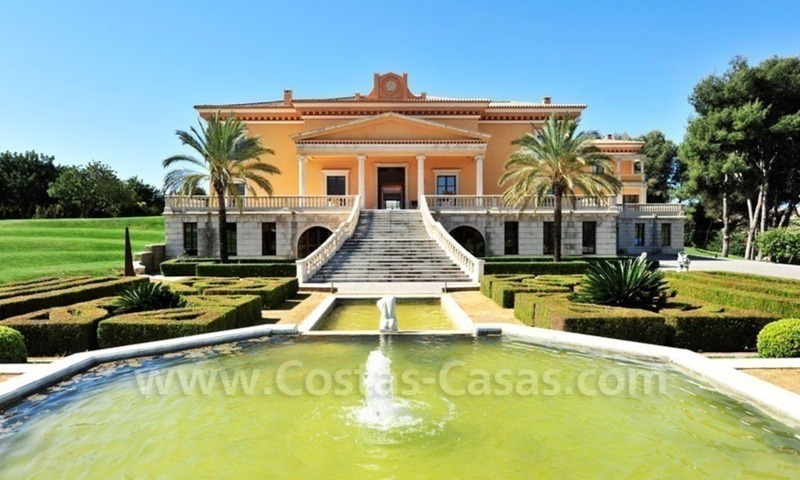 The 13.000 m2 plot permits the construction of an extra villa. Charming estate with lots of land and expansion potential. In beautiful natural surroundings. With stunning unobstructed sea views. Unique country-side location: nature and tranquillity. 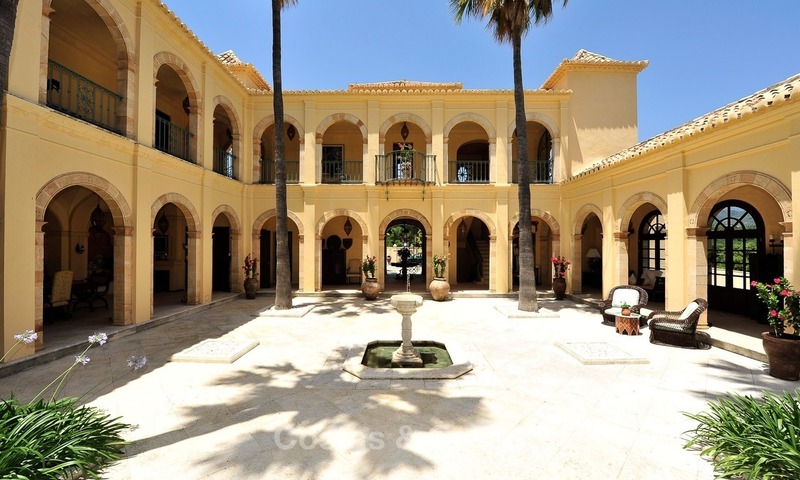 Very large villa + guesthouse, suitable for rental income. Outside kitchen and BBQ area. Indoor and outdoor heated pools.